Accessioned in 1975 and 1980. The collection is arranged in four series: Writings of Emily Hartshorne Mudd, Writings about Emily Hartshorne Mudd, Joint Writings of Emily and Stuart Mudd, and the Writings of Stuart Mudd. Within each series materials are arranged chronologically. 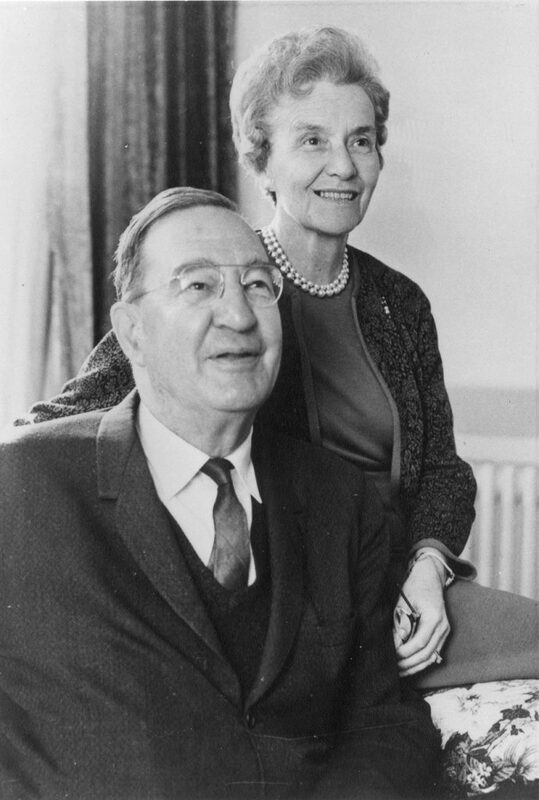 Dr. Stuart Mudd (1893-1975) and his wife, Dr. Emily Hartshorne Mudd (1898-1998) were two outstanding members of the University of Pennsylvania faculty. A world-renowned microbiologist hailed for his work in freeze-drying blood plasma and combating patient infections in hospitals, Dr. Stuart Mudd served the Medical School’s Pathology Department, as Chairman of the Bacteriology Department, as Chairman of the Microbiology Department, and as Chief of the Microbiologic Research Program at the Philadelphia Veterans Administration Hospital. He held a bachelor of science degree from Princeton University (1916), a Master of Arts degree from Washington University (1918), and a M.D. from Harvard (1920). He also attended the Graduate School of Arts and Sciences 1933-1934 at Pennsylvania. Dr. Stuart Mudd retired from the Medical School faculty in 1959 and spent the remainder of his career at the Philadelphia Veterans Administration Hospital. His research accomplishments are chronicled in some 200 papers and several books which he edited. He was also involved in efforts to control world population and other international problems. Dr. Emily Hartshorne Mudd served as the founder and Director of the Marriage Council of Philadelphia, the consulting editor of the Kinsey Report on the Human Female, the President of the America Association of Marriage Counselors in 1952, and as Professor of Family Study in the Department of Psychiatry of the University of Pennsylvania. She graduated from the Lowthorne School of Architecture in 1921, earned a Master’s Degree from the University of Pennsylvania School of Social Work in 1936 and a Doctorate in 1950 in sociology, majoring in the family. Dr. Emily H. Mudd was instrumental in founding Planned Parenthood Association of Philadelphia, and was responsible for the 1955 affiliation between the Marriage Council of Philadelphia and the Department of Psychiatry at Penn. She was the author and co-author of more than 200 professional and popular articles and books. This collection contains assorted published articles by both Stuart and Emily Mudd largely in the form of journal articles or offprints of journal articles. Dr. Stuart Mudd’s writings range in date from 1919 – 1974, and Dr. Emily Mudd’s writings range in date from 1932 – 1980. Also contained in this collection are articles about Emily Mudd, and joint writings by Emily and Stuart Mudd.